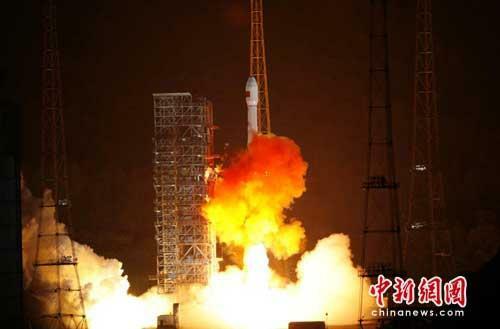 Beidou (compass system), China's fourth orbiter, was successfully sent into orbit Wednesday night from Xichang Satellite Launch Center in Sichuan province, Chinanews.com.cn reported. As part of China's indigenous satellite navigation and positioning network, Beidou is to join three other satellites in orbit to form a network that will eventually total 35 satellites. According to the center, the system will provide navigation, time signal and short message services in the Asia and Pacific region around 2012. The network will be capable of providing global navigation services across the world around 2020. The system provides communication services as well as navigation, which has been used during rescue operations following the Wenchuan and Yushu earthquakes. China completed its independent satellite navigation system in 2000, with three orbiters launching into space in the next three years, becoming the third country after the US and Russia to have such a system developed on its own.